Carrylift has over 30 years’ experience in materials handling. We pride ourselves on providing the highest quality and standard of professional driver training courses. We offer an extensive range of accredited training courses and manual handling courses in accordance with Manual Handling Operations Regulations 1992. These can be tailored to meet the demands of the modern workplace. Whether you require training on your own premises or at one of our facilities in Skelmersdale, Thetford or Cheltenham, our RTITB qualified instructors provide the latest in clear, effective training. We provide training for all types of Material Handling Equipment, for companies and private individuals – giving you the skills and confidence to work safely and productively. From refreshers to novice, retraining or safety awareness, training improves forklift operator performance and productivity. This is proven to reduce industrial accidents. Driver Training facilities throughout the UK. 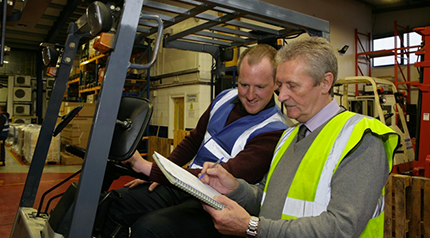 Driver Training available for all materials handling equipment. We provide training for private individuals & company employees. Driver Training provided at our training facilities or on-site at your own premises for your convenience. Improves forklift operator performance and productivity. Will help to reduce industrial accidents and potential injuries. Have you used Carrylift for Driver Training within the last 3 years? On-Site Training or In-Centre Training? Number Of Trainees per course? When are you looking to book the course? 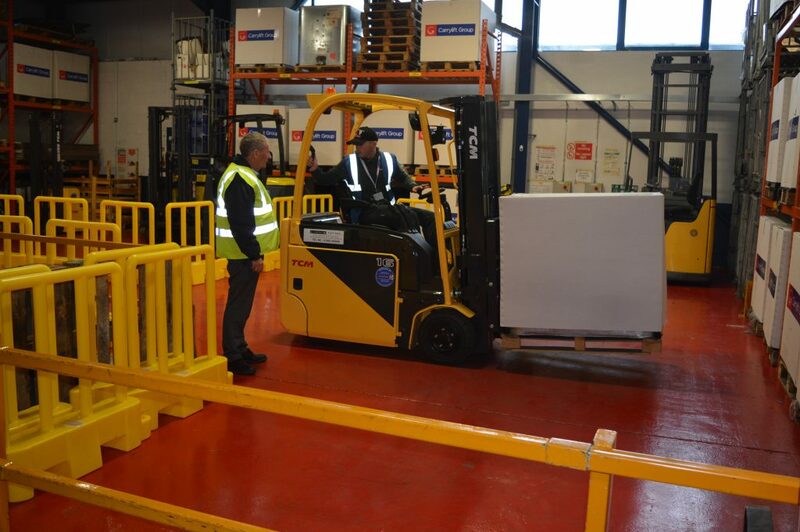 I’ve just finished a 3-day beginners forklift course at your branch in Thetford, Norfolk. I’d just like to say thank you for the excellent service and training your company offered. I don’t come from a mechanical or vehicular background like many of your customers and worried that I may not be able to succeed in gaining certification. However, over my three-day course, I developed from a novice to a certified forklift operator. This is all down to my instructor Colin, who was patient, professional and a great teacher at all times. He was a fantastic teacher and passed on a wealth of knowledge that I will take onwards into my career in operating forklifts.